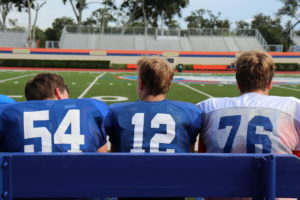 His grandfather played, his dad played, his two older brothers played, as well as his twin, who also goes to Bolles. Ben Netting always had a natural inclination towards football- in practically “runs in the family,” as he said. Ben Netting, a junior, recently became our newest quarterback. For the less football-oriented, as quarterback, Netting plays on offense. He runs and throws the ball, makes calls, and is essentially the leader of the team. The coaches he mainly works with are Coach Fagan and head coach, Wayne Belger. 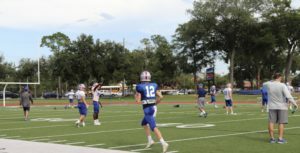 At Bolles, he practices every day from 3:30 to 6:00, focusing on passing and running concepts. He also works with a coach outside of school, Coach Thompson, who he works with off campus every Tuesday, Friday, and Saturday to work strictly on throwing technique and passes. To earn the position of first string quarterback, Netting faced many qualified competitors, for example Jeremiah Johnson, the younger brother of the team’s quarterback last year. Netting had to outplay many other peers as well, explaining how he won his new position with a sportsmanlike smile that showed just a bit of pride. Netting is certainly a beloved member of the team. Even during his interview, his teammates surrounded him, all with peaked interest in the interview itself, and in the answers he was giving. Netting hopes to continue playing football in college. He is currently interested in The Citadel, The Military College of South Carolina, which he describes as having a beautiful campus. Netting likens the aspect of respect and listening to others in football to that needed when addressing commanders in the military. 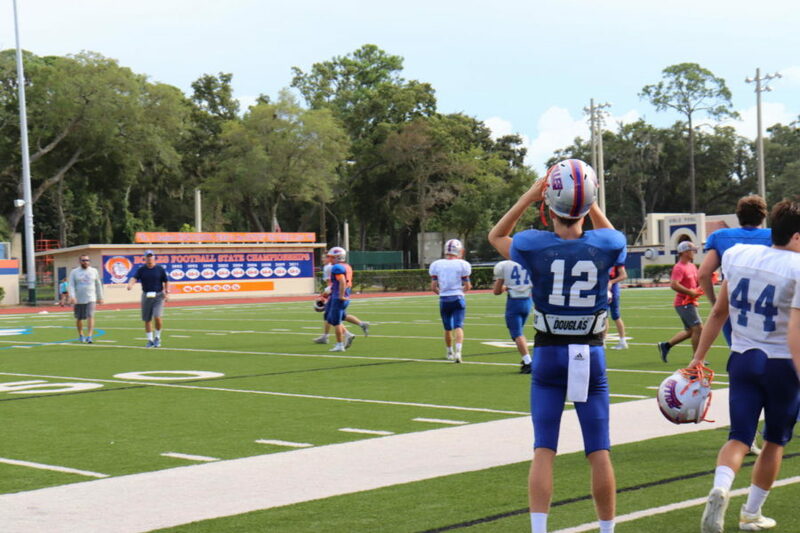 Bolles has witnessed its fair share of success in football with amazing players such as Mac Jones, but now it’s time for our newest star quarterback: #12, Ben Netting, class of 2020. Longest pass: 50 yds to Chris Sanders -7 and a half alligators nose to tail! Weight: 160 lbs. -roughly three male American bulldogs! Squat Press: 320 lbs.-that’s about 8 small children!